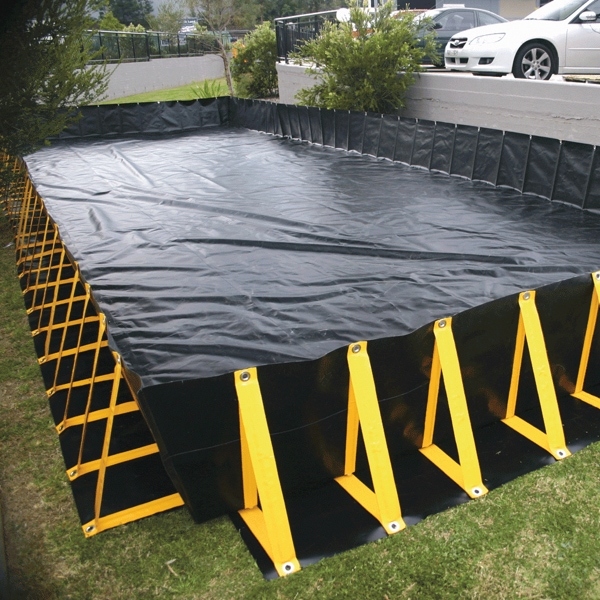 The Portable Containment Bund Systems can be used for the temporary containment of leaking hydraulic equipment or drum storage. Available in a range of custom sizes to accommodate a variety of applications. Simple to erect, pull down and store. Ideal for pallet storage, forklifts, drums, trucks and leaky vehicles. For use in either remote areas or a non-permanent, cost effective mobile bunding is required. Simple to erect and pull down. Takes up very little space when stored (folded up). Made from Heavy Duty PVC.